Druid's Heath Hole 2: This downhill par five has an extremely wide fairway as the emphasis will be on the decision for the second shot, should a long drive be hit. The green is fronted by two lakes, the second of which also wraps around left and behind the complex. It is also only 27 yards deep, so any long approach must hit soft or face the watery consequences. The layup option will afford most players with a safer wedge to the green. Druid's Heath Hole 4: The golfer must just miss the gorse and bunkers on this short par five to put themselves in good shape. On a day with little wind, this offers the long hitter a chance at eagle. Druid's Heath Hole 12: The signature hole is very difficult. 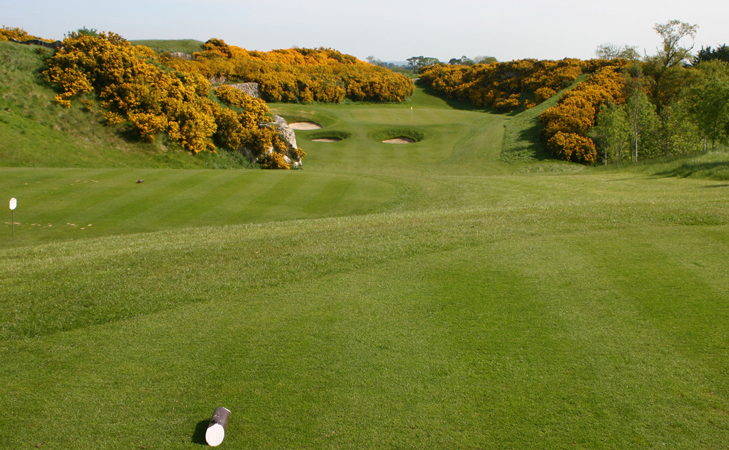 The drive must be slid through heavy gorse and hillsides on either side, with a long shot needed to catch the downhill slope and leave a shorter approach to the green, although from an uneven lie. 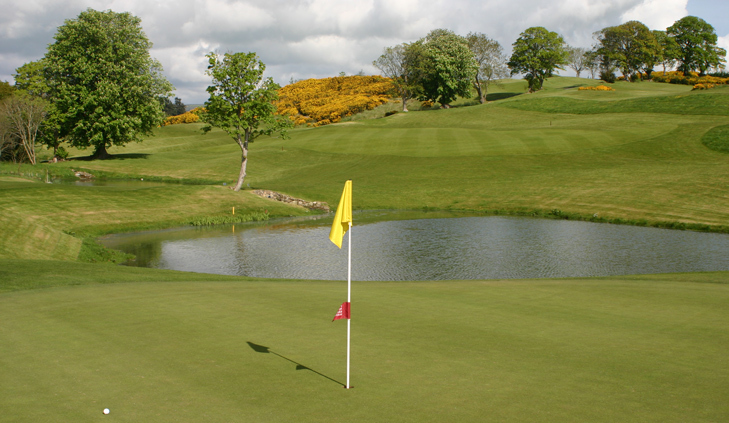 Either way, the golfer has a testing approach to a green with a large lake right and bunkers and gorse to the left. Druid's Heath Hole 13: This medium length par four has a hillside of gorse left off the tee that is, for most golfers, not a problem, but adds a visual bonus. However, the large tree right of the fairway and lake in front of the green can be a problem for many who don't hit accurate shots. Druid's Heath Hole 14: Known as the quarry hole due to the green complex being built in an old rock quarry depression, there are few par threes with better views of gorse in bloom. The deep bunkers surrounding the green also must be avoided. 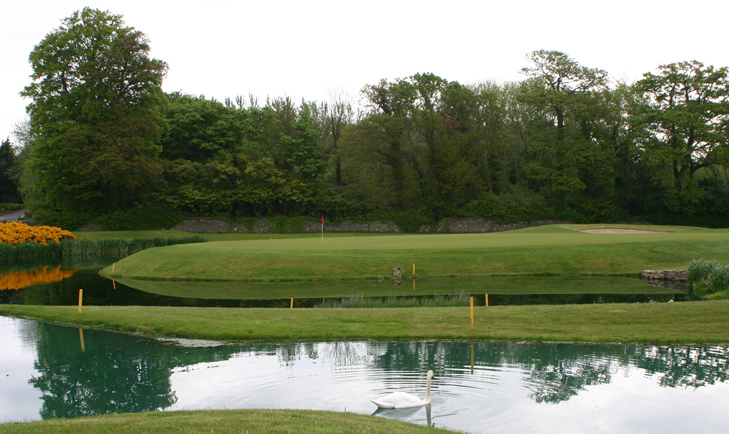 Read Druids Glen Golf Course Review.